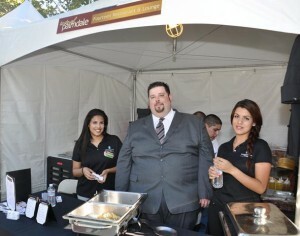 Culinary students from University of Antelope Valley impressed attendees at the 5th Annual Taste of Palmdale. 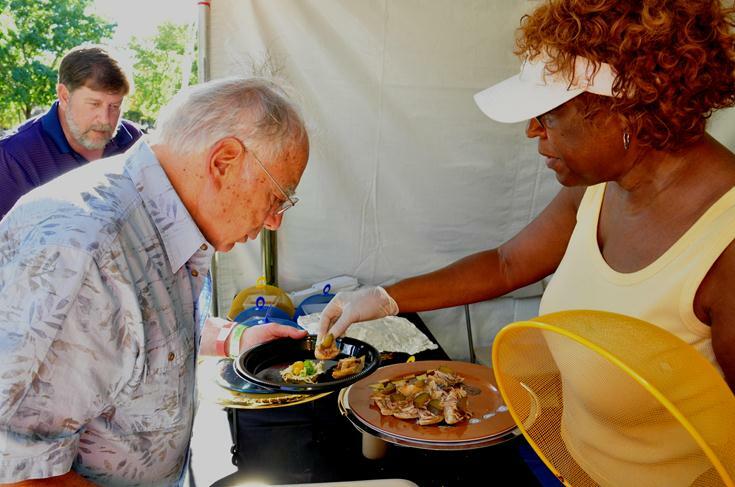 PALMDALE – Hundreds of Valley residents came out Thursday night to sample signature dishes from restaurants and caterers throughout Palmdale. 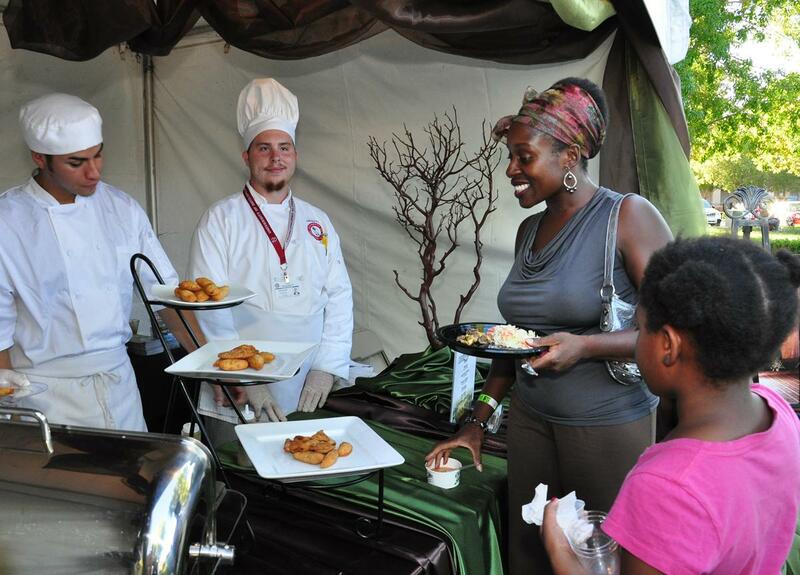 “There’s really good food, the deserts are incredible and I love atmosphere,” said first-time attendee Donna Campbell. The 5th Annual Taste of Palmdale was held from 4 to 9 p.m. in Poncitlan Square and was presented by the Palmdale Chamber of Commerce. Jazz music featuring Gina Eckstine provided a backdrop, as indulgent foodies sampled a variety of food items, ranging from Asian to barbecue to Italian to sweet treats and everything in between. 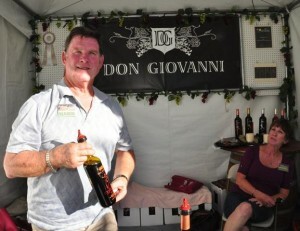 The event showcased 17 restaurants and caterers, six wineries, and more than a dozen local artists. The art walk and wine tasting began at 4 p.m. and food was served at 5 p.m.
Attendees selected the “Golden Spoon Award” recipients in four categories: Best Restaurant, Best Caterer, Best Dessert and Best Winery. Jonathan Greek (center) said the Kobe beef sliders were a hit with attendees. The restaurant, which is located inside the Embassy Suites – Palmdale, offered Caribbean barbeque shrimp skewers, spicy chipotle skewers, American Kobe beef sliders, and fresh Ahi Tuna potstickers. “The one that won everybody over was definitely the Kobe beef slider,” said Jonathan Greek, Director of Food and Beverage. “It was American Kobe beef, which is called Wagyu, topped with an 18-month dry white cheddar, a little bit of apple smoked bacon, and roasted tomato bourbon onion marmalade on a toasted brioche bun… it’s something that’s on our new menu that’s going to start on September 24. Executive Chef Dusti Patterson serves up her award-winning cuisine. Executive Chef Dusti Patterson nabbed top honors for the second year in a row. This year Patterson offered pulled pork bruschetta, using homemade bread and caramelized onions, chocolate bread pudding and a unique salad. This is the second win in a row for Nadia Cakes, the nationally recognized cupcake shop and custom cake studio. 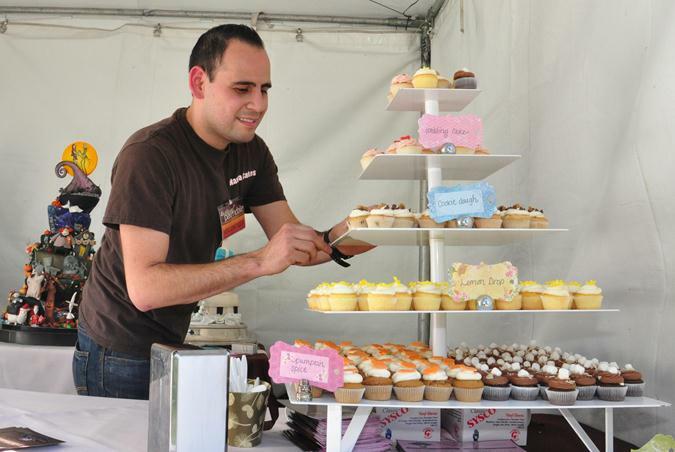 Nadia Cakes has been featured on season one and two of TLC’s show, Fabulous Cakes, and was named “Best Cakes in LA” on the 2011 LA Hotlist. Owner and head designer, Abby Jiminez was also the $10,000 winner of the Rose Bowl episode of Food Network’s Cupcake Wars. Owner Katherine Calandri-Nelson (right) said she wasn’t even aware that the event was being judged. Owner Katherine Calandri-Nelson said the vineyard was a lifelong dream of her late father. She said the back of each label features a description of her dad’s life. “We have Zinfandel Cabernet, Sangiovese, a full-bodied blend, and then we have Rose,” said Calandri-Nelson, adding that her wines recently won a gold medal at the San Francisco International Wine Tasting Competition. For many more pictures of this event, visit our facebook page.